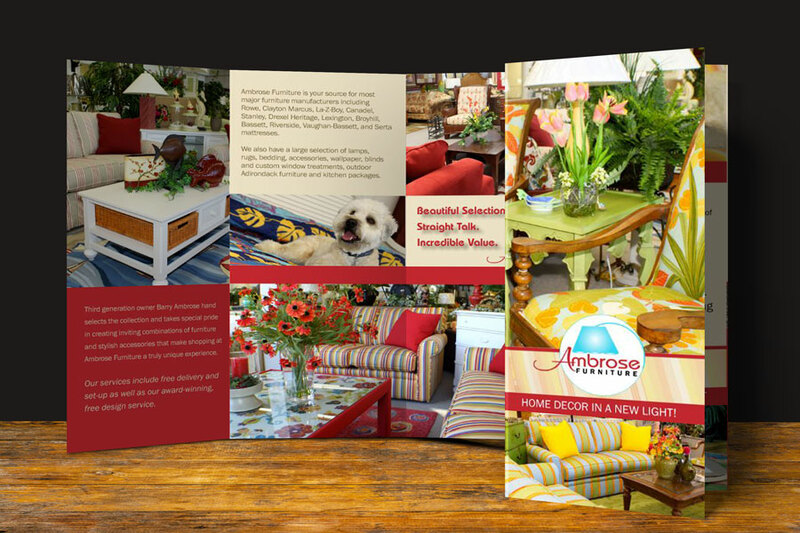 The original red and tan tropical colored tri-fold that we created in 2010 aims to play off that personality with bright colors vibrant images. 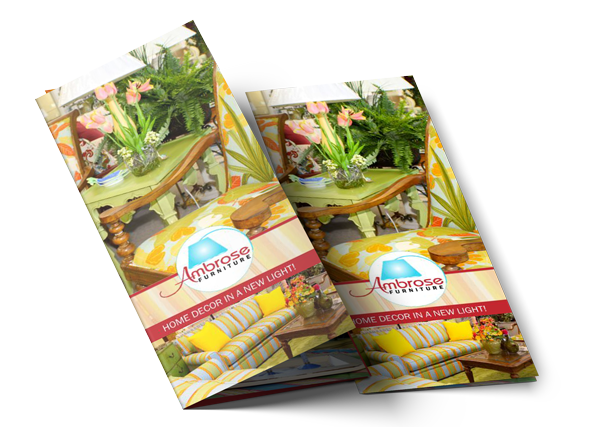 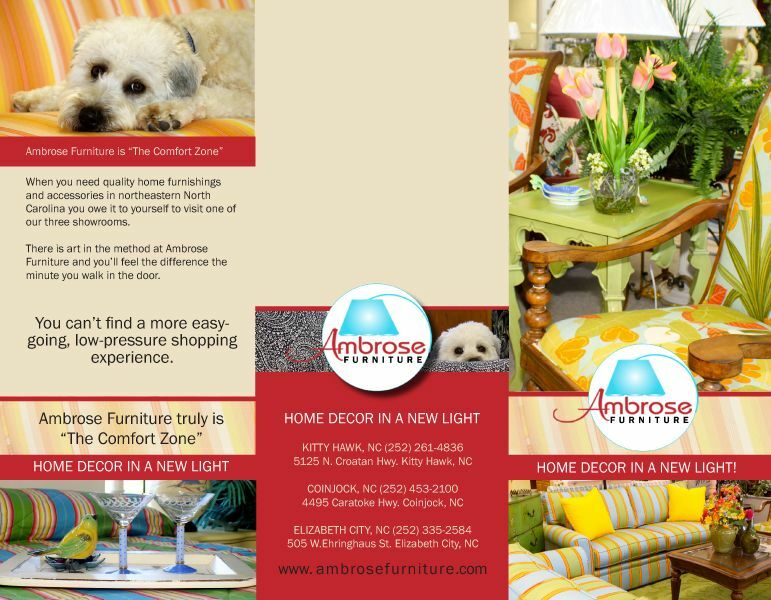 A few years later, Ambrose’s marketing director took their business in a new, more mature direction, leaving the bright colors behind for understated jute and black. 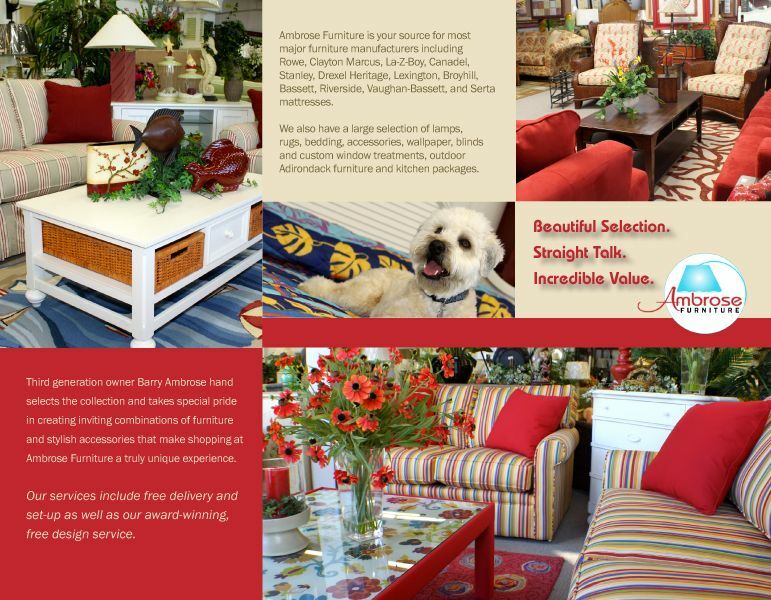 This blends beautifully with the new website we created for them, too! 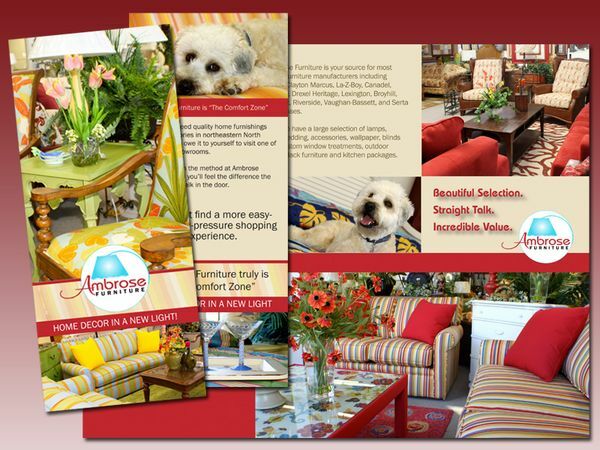 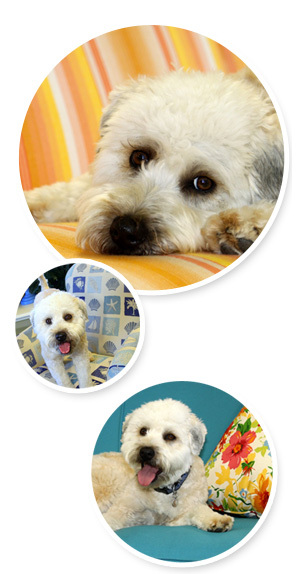 And Moxie is still around, shining the light on home decor!